Our NEW Mini-Ensemble: for young aspiring performers who are ready for a classroom rehearsal process that culminates in performance! Mini-Ensemble has two presentations during the year, in addition to participating in the end-of-year recital. These mini- performances range from abridged shows to revues focusing on a theatre writer. Mini-Ensemble will include: assigned roles, a small amount of student take-home responsibility, and lots of singing and acting! As a yearlong class experience, Mini-Ensemble offers each and every class member a moment to shine, encouraging each student’s individuality while developing skills through the course of the year. Mini-presentations last approx. 30 minutes during scheduled class time at BTC; space is limited but tickets are free. Having a teaching team of both a director and a music director makes this program a truly unique experience for K-3rd graders. There are no additional rehearsals outside of class time, and Mini-Ensemble members are not required to take additional courses to qualify. This is a very pared-down introduction to the full Ensemble experience BTC offers it’s older students. 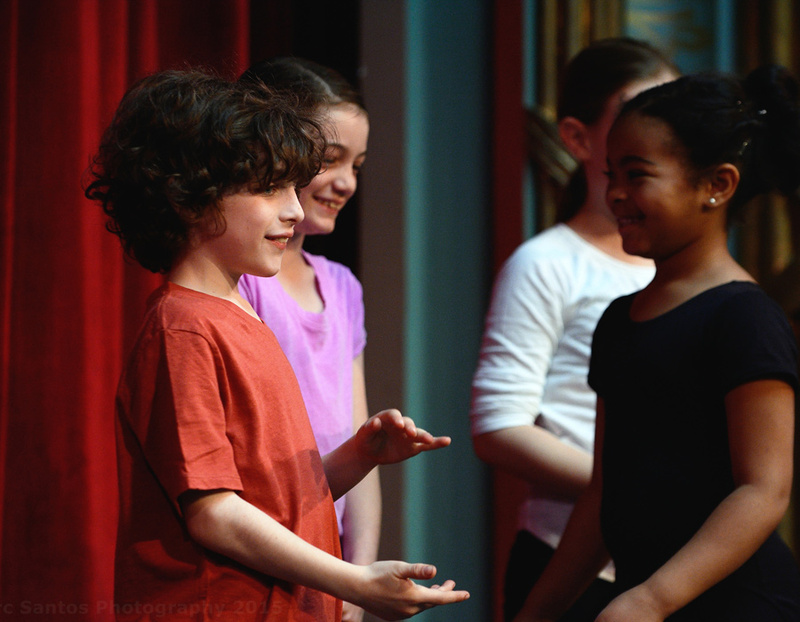 Mini-Ensemble is for our youngest BTC’ers – a chance to work alongside each other in a collaborative, supportive, stress-free semi-production environment. All singing, all acting, all fun!